RE/MAX Mission Statement: To be the worldwide real estate leader, achieving our goals by helping others achieve theirs. Everybody wins. Ready to house hunt? It's a jungle out there: Prepare for a flurry of paperwork, stampedes of buyers competing for the same digs, and other challenges before you get your hands on those house keys. We won't lie: The process can be complex and stressful—which is why having a pro by your side can make all the difference. 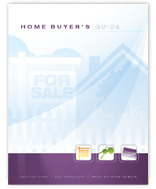 You might have heard of buyer's agents, seller's agents, listing agents, and so on. You're a buyer, so what is a buyer's agent? True to their name, buyer's agents assist home buyers every step of the way; they can also save you tons of time and money on the road to homeownership. Find the right property. After determining what you are looking for and what you can afford, Brenda Miller will schedule appointments to tour homes that fit the bill. Miller can also explain the ins and outs of various properties and neighborhoods to help buyers decide which home is right for you by explaining the pros and cons of various options. Negotiate the offer. Brenda Miller will advise clients on an appropriate price to offer and present it to the seller's agent. Then she will negotiate on your behalf and write up the contracts for you. This is where the my experience in negotiating deals can save you money and help you avoid pitfalls like a fixer-upper that's more trouble than it's worth. Recommend other professionals. Brenda Miller will also be able to refer you to reliable mortgage brokers, real estate attorneys, home inspectors, movers, and more. This can also help expedite each step of the process and move you to a successful sale all the faster. Help overcome setbacks. If the home inspector's report or appraisal brings new issues to light, a Brenda Miller can advise you on how to proceed, and then act as a buffer between you and the sellers or their agent. If negotiations become heated or hostile, it's extremely helpful to have an experienced professional keeping calm and offering productive solutions. Areas of expertise include all of Lebanon County to include Lebanon, PA; Myerstown, PA; Jonestown, PA; Annville, PA; Palmyra, PA plus Mt Gretna, North Cornwall and South Lebanon. Surrounding and bordering towns too. Service includes luxury homes, farms, condo, townhomes, 55+ communities, all single family, second homes and multi family or investment properties. RE/MAX Cornerstone averaged a sale every 2 days since 2013. Brenda Miller averages one sale every five days. One of my specialties is representing the best interests of Lebanon area buyers throughout the home buying process. My comprehensive, high-quality services can save you time and money, as well as make the experience more enjoyable and less stressful. If I were you, I would take a closer look at this one! Low price for the estates section in CREEKSIDE! Wonderful 4 bedro .. Single home priced in current condition. Same owner since 1959! Spacious 13x13 eat in kitchen. Appliances and window ac ..
OPEN HOUSE Saturday April 27th from 2-5PM & Sunday April 28, 2019 from 1-3pm. Most wonderful ranch w full daylight basem ..
Simplify to main level living without giving up an inch of space! All brick ranch appointed with superior renovations du ..
Just what you have been waiting for! Cozy home on two wooded acres in wonderful community. Enjoy the southern exposure t ..
A definite fixer upper ready when you are! Single home with 5x17 front porch. Large kitchen. Living room and dining are ..
Be the owner in 2019! Magnificent Victorian home loaded w character and charm on almost 6 acres in Eastern Lebanon Count .. Same owner for 55 years~Must be a nice place to live. Semi on corer. Really nice 6x17 front porch plus 5x16 back porch a ..
AMAZING two story with 12x24 covered porch plus 14x14 patio. Over one acre. Approximately 3500 SF above grade plus 900 S .. Wonderful home with views. Beautiful 11x19 kitchen w Extra upscale cabinetry invites dining area. All appliances. 12x14 ..
Be the owner in 2019...! Let's talk. Wonderful two story in Northern Lebanon County (NLSD) within minutes to 22/78/81/72 ..
Be the owner in 2019...Ask how easy to make this a 4 or 5 bedroom home! Let's talk! Seller is ready to settle when you a ..
Be the owner in 2019! Shown by appointment also plus OPEN HOUSE Sat February 2nd from 1-3pm. Wonderful two story with fi .. Sprawling brick ranch w 2 spacious bedrooms. Foyer to greet guests. Eat in kitchen with beautiful cabinetry. Massive 15x ..
Wrap 1267 Ash Lane in Spring Hill Acres up for the holidays. Start the new year right! Wonderful home with five garages. .. Wonderful two-story home on almost 2 acres surrounded by countryside. 4 spacious bedrooms (2 with private baths). 3.5 Ba .. Brick ranch in South Lebanon Township. If two bedrooms and one full bath will do, please make time to see this home. Har .. Welcome to your next home to be built on 2.6 acres of wooded blissAre you looking for peace and relaxation? There is no ..
MAKE AN OFFER! CAR BUFFS or WORKSHOP ENTHUSIASTS: If two bedrooms will do, then you will enjoy 126 Maple Street. Seller ..
BEAUTIFUL RANCH w VIEWS! 7x7 front porch. Foyer w real hardwood floors leads to custom kitchen. Breakfast bar. Desk area ..
OPEN HOUSE Sunday August 19 from 1-3pm. By appointment also at your convenience. A master suite like no other in this pr .. Brick end unit (2 full sides) on private corner parcel. 12x18 Family room w patio doors leading to wonderful patio. Wood ..
OPEN HOUSE Saturday, August 18th from 1-3pm. If you are looking for a really nice home w a beautiful back yard, please s ..
OPEN HOUSE SUNDAY JULY 1 from 1-3PM...Just move right into this recently renovated and efficient semi detached/end unit ..
OPEN HOUSE SATURDAY JUNE 30 from 1-3pm. Everything like new or is new! Wait until you see this inside. Seller is perfect ..
6.33 of wooded bliss in fabulous Spring Hill Acres. Any Builder. Borders Horseshoe Trail and State Game Lands plus a rip ..
Make this your new address in 2018. Please consider this very well maintained Briar Lake ranch home. Live a quiet, enjoy ..
Make this your new address in 2018. Spectacular custom features. See 3D floor plan. Custom kitchen w granite, nook & bar .. Listed for comp purposes only. Open first floor plan. Laundry and office on main. 3 bedrooms, 2 baths plus loft on secon ..
Really nice ranch. Awesome backyard setting. Privacy found here. Very convenient location. Enjoy the 15x27 in-ground sal ..
Beautiful ranch in wonderful community. Inviting kitchen and breakfast nook open to formal dining and family room with f .. Recently reduced $25,000...! Wonderful home. Summer fun in awesome 18x40 in-ground pool w jacuzzi. Extensive decking. Qu .. Custom built by Bob Brandt & Sons. Entered for comp purposes. Prestigious FIELDCREST. Hardy Board Exterior. Very quiet a .. Wonderful MAIN LEVEL MASTER w two story foyer & great room. Formal DR. Office or den + laundry on main. Plenty of cabine .. Wonderful home in beautiful CREEKSIDE. Recent triple pane windows. Covered patio overlooks common area. Impressive 2 sto .. Better than new. Charm and character inside and out. Prominent brick front. Superior improvements made to new kitchen & .. Terrific townhome with terrific features. Simplify your lifestyle here. Enjoy the very low utility costs. No HOA. Conven .. Reduced $29,500. See or request 3D floorplan. Beautiful. Almost 4 acres. Private wooded setting. Hardy Board & Brick ext ..
Sold as is. Almost two acres with pool. 15x46 wrap around deck. 18x42 pool. 10x20 shed. Huge two car garage w plenty of ..
Second floor condo. SOLD as is. Cash. Ranch w 3 bedrooms. Nice kitchen opens to dining area w view. Family room on main w oversized bay window showcasing view ..
You will enjoy several recent quality improvements both inside and out of this wonderful brick home. Over 50 kitchen cab ..